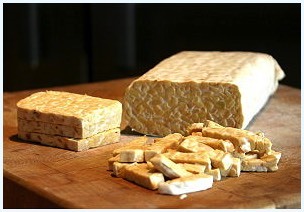 Part of Indonesia's culinary heritage, and now a healthfood for the West, tempe (pronounced tempeh) is unique amongst soyfoods and has been an important part of the Indonesian diet for hundreds of years. Native to Indonesia, it is found throughout the archipelago and eaten by millions, but until recently was almost unknown out of the country. Now, research in food science and nutrition has shown this food to be unique amongst vegetarian foods, and already popular among vegetarians in the USA and Australia. An ever popular and versatile ingredient in Indonesian dishes, it represents a food that has evolved in the archipelago and within Indonesia has become synonymous with the most traditional of Javanese foods. Basically, tempe is made from cooked soybeans that have been inoculated with a special starter culture of fungal spores, packed into banana leaves (although the ever popular plastic bag has taken over from the traditional banana leaves) and then left to ferment. During this time, a luxuriant growth of white mould grows through to knit together the beans and turn them into tempe. Any visitor to an Indonesian market or dinner table will almost certainly come across tempe, though wonder what on earth it really is. 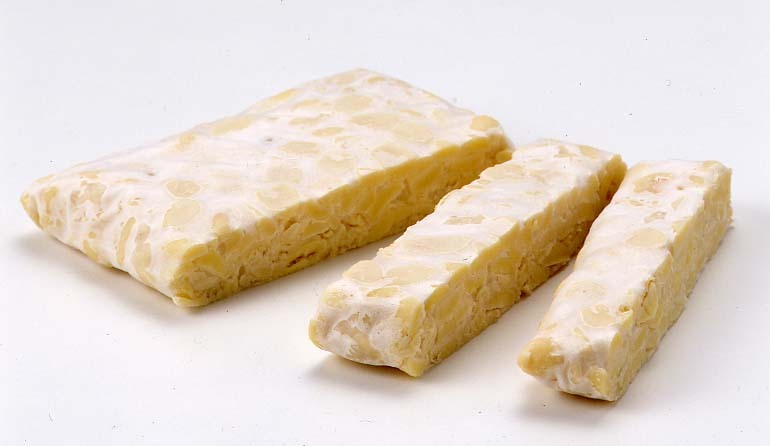 Closely resembling a Camembert cheese in colour and texture with a mushroom-like aroma, tempe is in fact one of the world's first soybean foods. It is composed of cooked soybeans that have been fermented through by an edible fungus which, when mature (like a cheese) becomes an attractive and aromatic white cake suitable for a variety of uses in hundreds of local dishes. 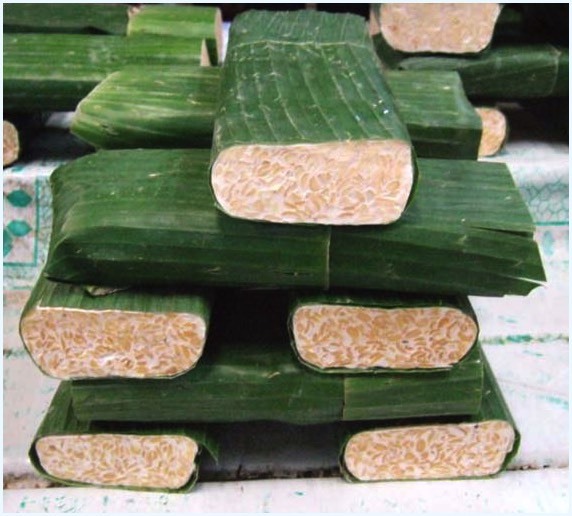 In Indonesia, tempe is eaten by all sectors of the population; in villages and cities alike, but because it is cheap and, in Java, easy to find, it is often used as a substitute to meat among the majority of low income groups. 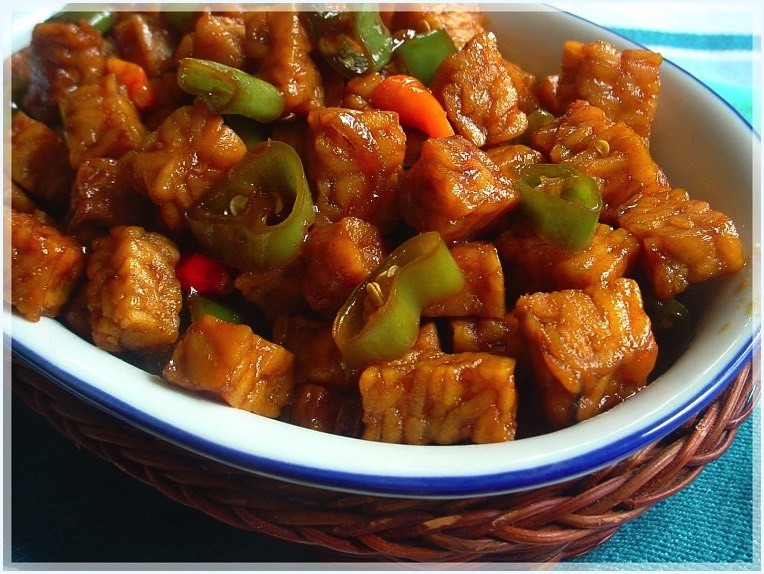 In fact, in a country where meat is expensive and often of dubious quality, tempe is an excellent high protein substitute to meat or fish, without the need for scrupulous hygiene or expensive refrigeration. 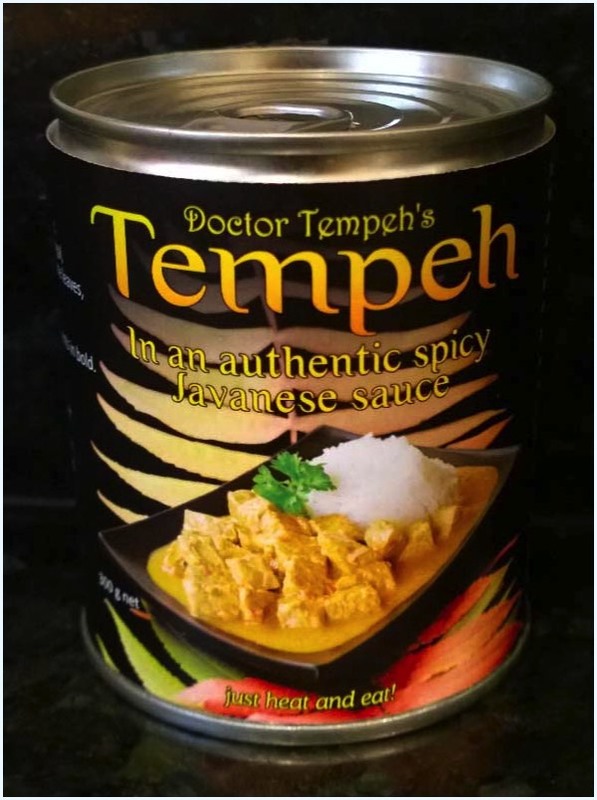 Nutritionally, tempe represents a food rich in protein (the same quantity and nearly the same quality as beef because of its high digestibility) but unlike beef, contains no cholesterol or saturated fats that current evidence links to heart disease in the 'affluent' West. It also contains a certain vitamin (B12) that is normally only found in animal products and milk. 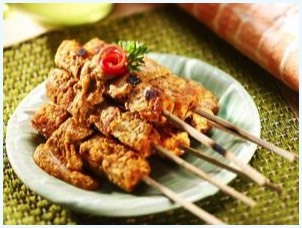 In this respect tempe is unique as a vegetarian food without the accompanying disadvantages of many unpalatable 'meat substitutes' of poor texture and flavour. It is also very easy to digest due to the fermentation and very suitable in small quantities for babies or those with malabsorption diseases. Basically, tempe represents a cheap form of good quality protein and other nutrients, many essential to a healthy diet, that is readily available and is therefore well suited to a developing nation as a local high quality food resource that is cheap to buy and use.